It was a very slow day for birds in the Rio Grande Valley. We went to Santa Ana National Wildlife Refuge. Lots of butterflies and dragonflies…more than I have seen there in years, but practically no bird activity. Very strange. After Santa Ana we went to Fronteria Audubon in Weslaco, Texas where the buzz of the day was a intermittently visible Golden-winged Warbler. We missed the warbler by minutes on several occasions, but again the butterflies did not disappoint. 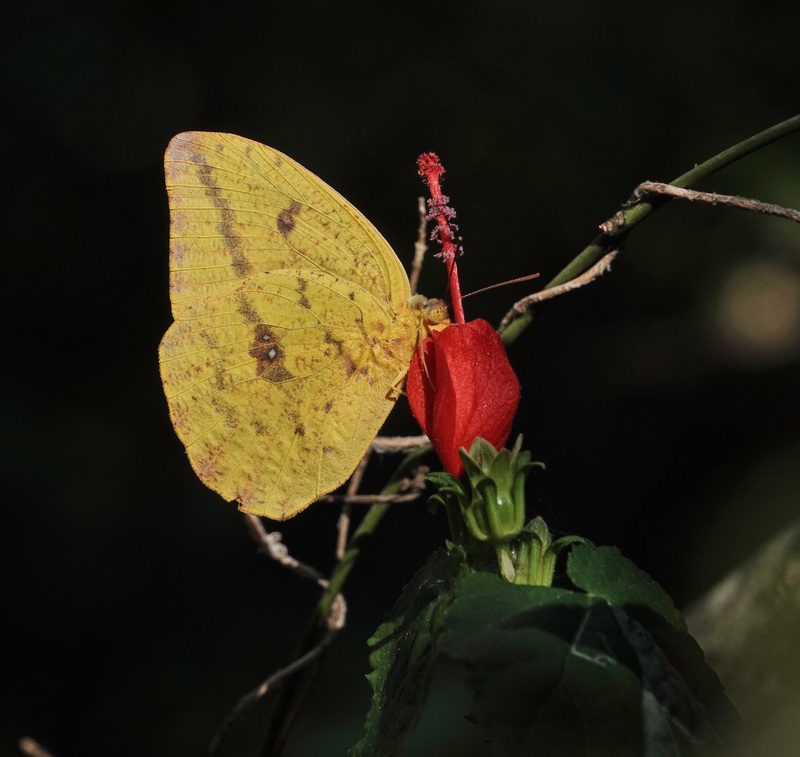 This Clouded Sulphur on Turk’s Cap was one of the last photos I took there before heading back to the hotel to cool off before evening activities. Sometimes nature provides light you would be hard pressed to duplicate in the studio. I should add a disclaimer here. I am not a butterfly expert and if someone were to tell me this is an Orange Sulphur and not a Clouded, I would not be totally surprised and in no way offended. 🙂 Sony RX10iv at 600mm equivalent. Program mode. Processed in Polarr.